EDITION Hotels is set to expand its footprint to Abu Dhabi, opening a waterfront property in the city that will be its first in the Middle East. 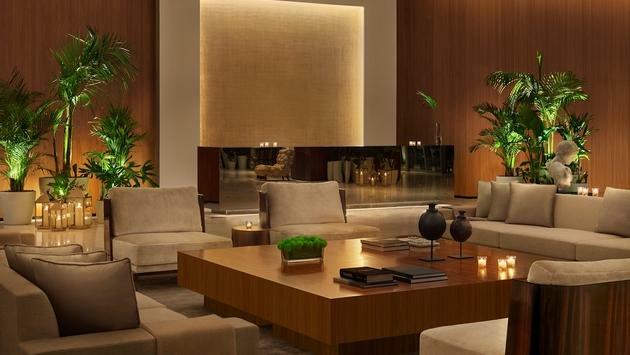 The Abu Dhabi EDITION, opening in November, will be brought to life by Ian Schrager, who's well-known for creating contemporary luxury in partnership with the Marriott International brand. 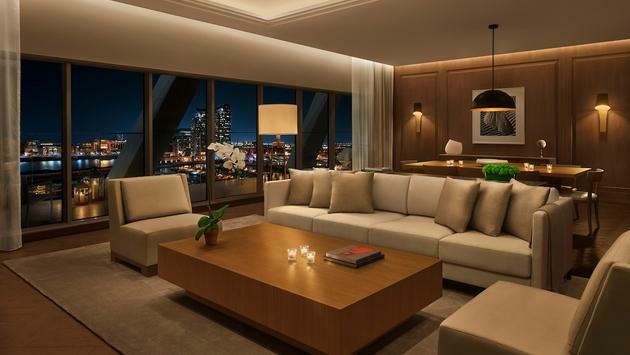 The 198-room property, which will include also include 57 exclusive residences, will feature elevated design, food, amenities, and entertainment. Talented individuals from around the world, including artists, designers, and world-class chefs, have been tapped to create a new, experience-led destination for the Abu Dhabi hotel. "It’s about an attitude, about a feeling rather than a look," Schrager explained. "Sophisticated public spaces, finishes, design and details serve the experience, not drive it". The hotel is located on a prime site on the Al Bateen peninsula about 20 minutes from The Louvre Abu Dhabi and the beaches of Saadiyat, and 35 minutes from Yas Island. The property also provides views of the azure waters of the Arabian Gulf and access to the activity of an adjacent marina. “As with all EDITION hotels, each one is a cultural epicenter and a microcosm of the best each city has to offer; a portal into the essence of the city, recognizing the history whilst at the same time defining a new moment in its future,” said the company. The property’s exterior has been designed to be reminiscent of the lateen sails of the traditional Dhow boats that the region was once famed for building. The hotel's cavernous five-story lobby meanwhile, contains a dramatic, curved atrium with a sinuously shaped balustrade, echoing the movement of the water and mirroring the marine narrative of the development. The hotel’s lounge area features a large-scale kinetic art installation In 20 Steps designed by the world-renowned art collective Studio Drift and produced by Czech glass company, Lasvit. The installation pays tribute to evolution and humanity’s desire to fly, spanning across the whole length of the space above the lounge and made from a number of glass cylinders, each connected by metal joints and suspended from the ceiling by a series of strings that enable the artwork to move. Below, the vast lobby contains signature armchairs by local designer Latifa Saeed inspired by the distinctive way Emirati children braid their hair. The property’s lobby has been designed to blur the lines between work and play. 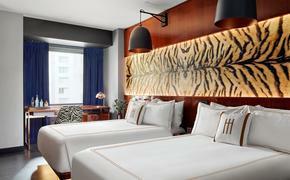 It contains group meeting tables, a signature golden EDITION pool table, world-class bar and an expert barista station. There are also distinct seating areas separated by bronze screens, inspired by traditional Arabian architecture techniques. Heightened dining experiences are another key part of the EDITION hotel brand and The Abu Dhabi EDITION is no exception. There will be three signature restaurants created by world-renowned chef Tom Aikens, famed for being the youngest chef to ever have been awarded two Michelin stars. Market at EDITION is to be an imaginative, healthy lifestyle restaurant open for breakfast, lunch, and dinner. An open kitchen restaurant, the space allows guests to dine solo or interact with chefs as they create dishes live in the dining room. The focus will be on healthy, no waste, farm to table cooking, with the kitchen making use of each ingredient to its entirety. Organic coffee, raw juices and biodynamic wines will be served alongside the food using the best ingredients that Mother Nature has to offer. 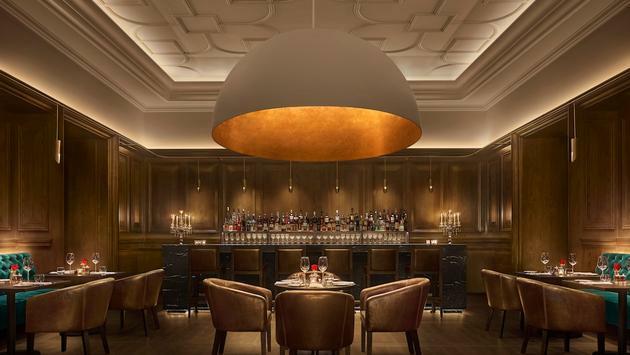 Abu Dhabi EDITION is also home to Oak Room, a traditional English oak paneled restaurant celebrating world-class ingredients with British rock ‘n’ roll flair. The menu at this new- age steak house encourages guests to indulge in the very best produce and showcases signature British dishes paired with a robust wine selection. Opposite the entrance to Oak Room, the secluded sophistication of Library Bar awaits. A craft gin-led cocktail bar blended with EDITION classics, Library Bar is the ideal place for guests looking for a quieter more intimate place to socialize. Taking design cues from its own name, the space features a collection of artworks that draw upon themes of language and the written word, in all of its marvelous literary forms. With a bespoke-made gin trolley for tableside cocktail creation, world-class bar snacks and weekly live music happenings, guests can unwind in this sophisticated and intimate setting with a dash of the unexpected, perfect for post-work drinks, entertaining or socializing pre-dinner. On the marina side of the hotel, Aikens has also created a Mediterranean-style restaurant, Alba Terrace, that offers locally sourced coffee, light lunches and sharing plates. Not to be overlooked, the hotel also features a distinct, stand-alone social space. ANNEX, opening in late 2018, offers a three-floor space to socialize, allowing guests to choose between a sophisticated al-fresco experience at the rooftop garden bar and a more refined social gathering space in the Den on the floor below. Meanwhile, the ground floor will offer an energetic ambiance with live DJs and an experimental cocktail bar. EDITION Spa at The Abu Dhabi hotel is slated to open in late 2018 and is expected to be one of the most unique and special elements of the hotel, bringing together local, authentic healing practices and high impact treatments and wellness programs from around the world.